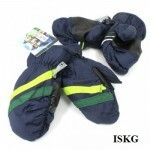 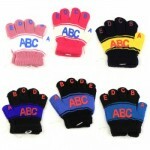 Wholesale winter gloves sold by the case at affordable prices. 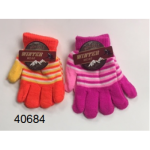 Ladies Feather Gloves W/Stripe $0.79 Each. 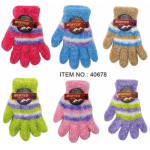 These ladies gloves are great for winter, these super soft feather gloves are sure to keep hands war..
Ladies Fleece Gloves $1.29 Each. 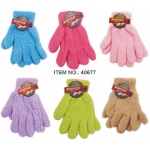 Polar fleece gloves for the ladies. 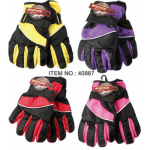 They tuck into pockets easily and go everywhere, putting a ..
Ladies Microfiber Gloves $0.79 Each. 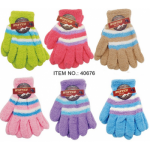 These ladies gloves are great for winter, these super soft gloves are sure to keep hands warm when i..
Ladies Ski Gloves $2.59 Each. 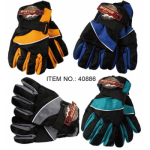 Ladies ski gloves with adjustable belt in assorted colors.Case of 72 Pairs..
Ladies Solid Feather Gloves $0.79 Each. 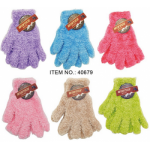 Ladies Solid Microfiber Gloves $0.79 Each. 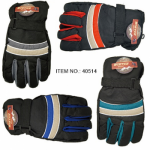 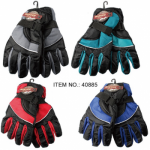 They come in 6 pre-assorted colors.Case of 144 Pairs..
Men's Fleece Gloves $1.29 Each. 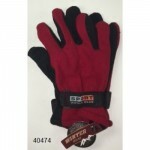 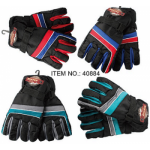 Men's Fleece Gloves in Assorted Dark ColorsCase of 240..
Men's Ski Gloves $2.59 Each. 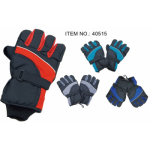 Ski Gloves with adjustable belt.Case of 72 Pairs..
Men's knitted winter gloves with Thinsulate thermal lining.Case of 144 ..